What better place to get away from the hustle and bustle of everyday life than the beach? Whether you’re looking at booking a long weekend or an entire week, Virginia Beach is the perfect destination for your next girls trip. From relaxation to indulgence, you can find a little bit of everything in and around your Sandbridge vacation rental. There are several spas in the Virginia Beach area. While you might be thinking, “I can do that at home”, and you may be right, there’s something about knowing that you have absolutely zero responsibilities awaiting you when you leave the spa that makes it just that much more enjoyable. Sit back and relax while you soak your feet and take in the aroma therapy, indulge in a manicure and pedicure, or go into full relaxation mode with a massage and facial. No matter which services you choose, one thing is for sure; you will leave feeling fully rejuvenated and refreshed after letting yourself be the one getting pampered all day. 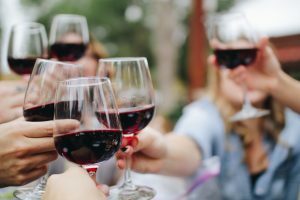 If you are travelling with a group of wine connoisseurs, take a trip to nearby Pungo Ridge Winery and enjoy their variety of wines made with locally grown fruits like blackberries, blueberries, strawberries, apples, plums, pears and peaches. Not only will you enjoy the cozy atmosphere, but it’s even more special to know that all their wines come from only Virginia produce, most of which is grown right on their own land. There’s room for your group to hang out inside if the weather isn’t great, but on a nice sunny day you can bring your own food and have a picnic outdoors! Check out their website for current tasting fees and hours. The scenery in Virginia Beach is already beautiful…but imagine it from horseback. Grab the girls and go on a one-of-a-kind experience at the Easy Does It Ranch. Their beautiful horses are all rescues who have been rehabilitated and given a second chance at life, love and happiness. Take a ride through the bay and cool off in the summer heat with a water swim ride. There is a 2 rider limit per trail, but you will thoroughly enjoy the hour and a half of quality one on one time in the great outdoors. Even if you’ve never ridden before, Easy Does It offers friendly service and a memory to last a lifetime. Not only will you have fun and enjoy the area from a different perspective, but you’ll be helping a great cause at the same time. Take a unique journey through Rudee Inlet and Owls Creek with a quick lesson on how to paddleboard, water safety, and technique with an Eco Tour. You’re sure to see beautiful scenery and wildlife on this tour and experience a relaxing time with the girls. For groups with experience, you might consider the 3-hour SUP surf lesson and surf sesh tours. On this tour, you’ll learn stance, techniques, surfing etiquette, and more. There’s even an option for floating yoga and meditation! With excellent instructors, you’re sure to have a great time with Rudee Inlet Stand Up Paddle. Who knows, you might even get the chance to paddle right along the dolphins! What’s more relaxing than floating in the ocean with the dolphins? 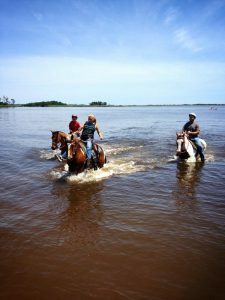 It pretty much goes without saying, but one of the most fun things you can do on a girl’s getaway in Sandbridge Beach (as obvious as it may be) is go to the beach! Search for the perfect seashells to take home with you or make a souvenir of your vacation with, go for a long walk and catch up on each other’s lives, relax seaside with a good book and recap over dinner…there’s so much to do in Sandbridge that’s fun, free, and most importantly, relaxing. 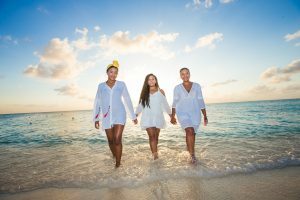 Of course spending time at the beach, spa, or frolicking in the water is great fun, but when was the last time the whole group got to just sit down and enjoy each other’s company with no distractions or time constraints? Many of our Sandbridge Beach vacation rentals offer private pools and hot tubs for outdoor lounging. In the evening, enjoy cooking a meal at home and sitting on the deck overlooking the water with a cool drink in hand. 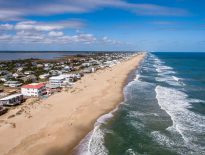 No matter what you decide to do during your beach vacation, you’re sure to have a great time when you visit Sandbridge, Virginia. Sometimes all you need is your best friends and the beach!